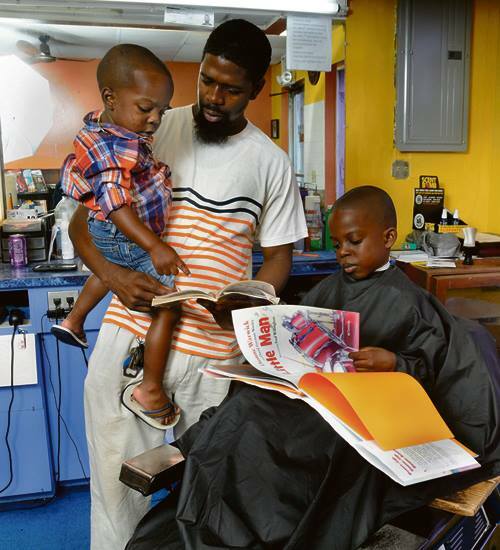 In Palm Beach County, Florida, where the shop is located, the graduation rate for African American boys is 50%. We also know that the less money one’s family has the less likely there are books at home. So Ross offers his young visitors books to read while they wait and when they are in the chair. There is now television or radio to divert their attention. 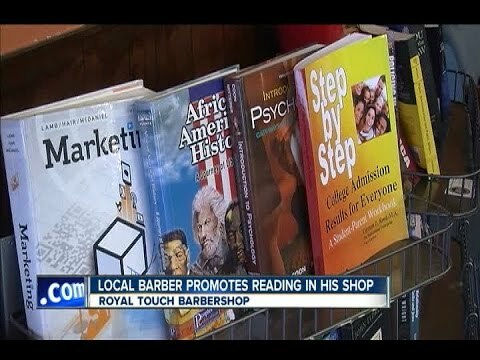 The unique offering which takes place twice a month features the barbers and volunteers helping the kids select books which they will read and discuss during their time at the shop.